This is an extremely meticulous yet, low-maintenance service that only a Licensed Practitioner may perform. Your Esthetician cleans your eye lashes, applies a primer & then uses a precise amount of medical grade adhesive placing a single silk or mink extension (of varying weight & length) on each & every one of your own eyelashes! 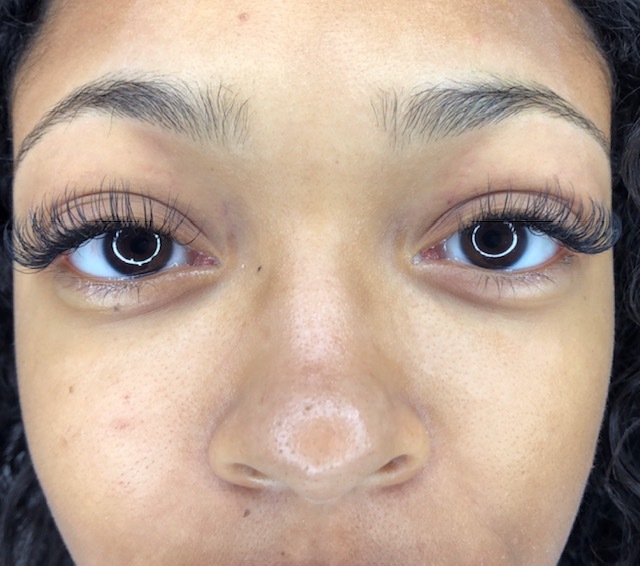 With proper care, your semi-permanent lash extensions will last an average of 2 weeks, as you naturally shed 2-5 of your own natural lashes per day, prior to needing a fill! Results are instantaneous!!! Consult with your stylist regarding your unique preference of volume, length, style and aesthetic. *Contraindications include but are not limited to: eye allergies, allergies, eye rubbing and picking of the eyelashes.